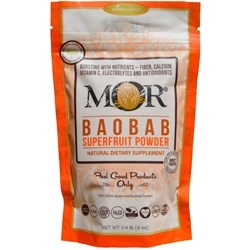 The baobab super fruit powers are more than just what its nutritional values reveal on its analysis; its fair trade makes a positive balance in helping impoverished African communities and the global fight against nutrition deficiency. 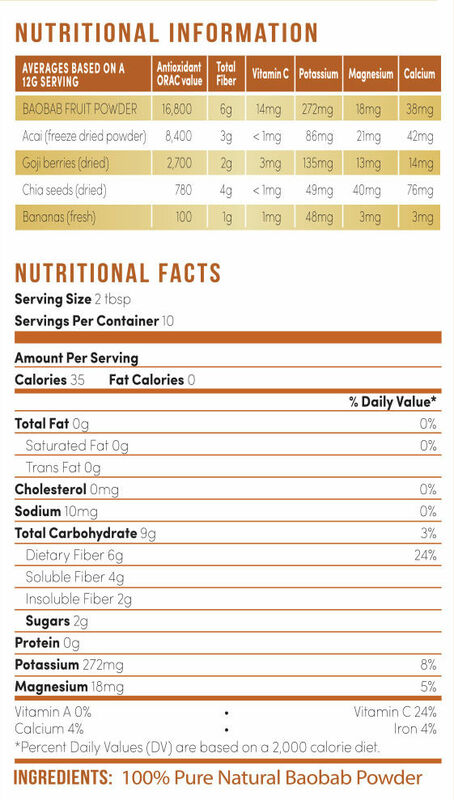 Numerous world health organizations, universities, health and scientific publications support this super fruit has being ideal to reduce world malnourishment. 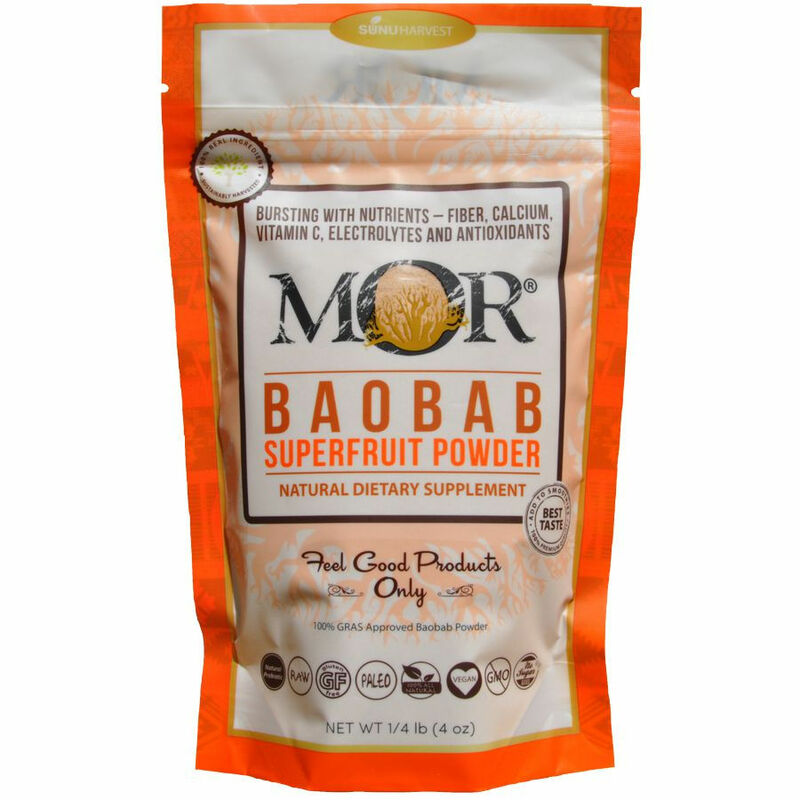 Baobab is the natural immune system booster; in addition to its potent micronutrient profile, Baobab has been confirmed to act as a natural super pre-biotic. Studies have also revealed that its polyphenols content have the ability to protect the body from free radical damage and support skin health.